In this article we are going to explain what an impounded car insurance policy is and the circumstances that could lead to you needing this specialist insurance product. If your vehicle has been impounded by the police, you will need to provide proof that you have taken out an insurance policy that covers impounded cars before you will be able to retrieve it from the compound. Finding such a policy is not as easy as you may think as the vast majority of well known insurance providers do not like to offer cover for impounded vehicles due to the inherent added risks involved, which we will explore in more depth later on in this article. Firstly we need to understand when and why vehicles can be confiscated by the police, then we can look at what happens to them once the police have taken them before going into detail explaining what you need to do in order to get your car or motorcycle back. When can the police seize and impound vehicles? Under certain circumstances vehicles can be legally seized by specially trained police officers in the UK. The situations that could result in a car, van or motorcycle being impounded are set out under Section 165a of the Road Traffic Act 1988 but we will try to simplify the rules to help you avoid falling foul of the law. The vast majority of impounded cars are seized because the police have reason to believe that you are driving without a valid car insurance policy or that you aren’t driving within accordance of your driver’s license (this means that you either do not hold a valid license or that it does not cover you to drive that particular type of vehicle). If your car has been seized for either uninsured driving or due to a license violation, you will receive a form that is called a “3708 Seizure Notice”. 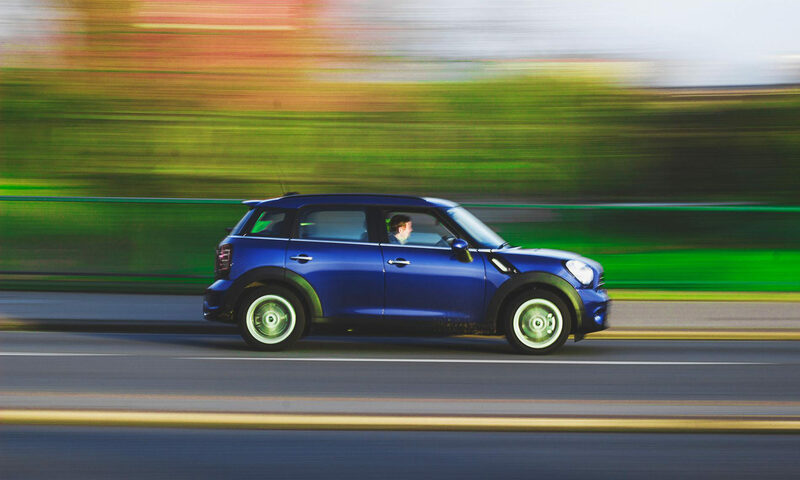 In 2017 it was estimated that there could be as many as 1 million uninsured drivers on the UK’s roads, this means that a staggering 1 in 25 cars are not insured and approximately 500 cars are seized every day. The penalties for driving without insurance don’t just involve the seizure of vehicles though and the ramifications can be major. There are other reasons for vehicles being taken to the compound and although not as common they still account for a large number of vehicles being seized across the country. These include the seizure of vehicles that are being driven dangerously or in an anti-social way, vehicles that are parked illegally or dangerously or that have been abandoned and vehicles that are confiscated as part of an investigation into a crime. If your car has been impounded for driving without an insurance policy or license, you will need to attend the compound within 7 days of receiving your 3708 Seizure Notice. If you fail to collect your car within a 14 day period then you are at risk of losing your vehicle permanently as the police will either crush and dispose of it or even sell it at an auction to raise funds for their constabulary. If your car was seized and taken to the compound for another reasonyou will receive a letter letting you know when you can go and collect it from the pound. You must bring with you a photo ID document like a photo driver’s license, passport or identity card. If the compound staff cannot determine that you are who you say you are you will not be allowed to drive your car away. The compound staff will need to see your insurance documents before they will release your vehicle to you. It’s important that you have taken out insurance for an impounded car and that you have made the insurance company aware that your vehicle is currently impounded. If your vehicle has been impounded due to a motoring offence and you have any pending convictions it is imperative that you have disclosed the details to your insurer. You have to prove that you are the owner or registered keeper of the car that has been seized and in order to do this you must take with you the full V5C document and proof of your address. If you have only recently purchased the vehicle you can take the new keeper supplement V5C/2 section of the document along with proof of your address. If your car is over three years old and has not passed an MOT test then you must bring with you proof that the vehicle is pre-booked for an MOT appointment. If you can’t provide proof or do not have an appointment booked you can arrange for the vehicle to be collected on a tow truck at your own expense. Why is impounded car insurance hard to find and why is it expensive? When you fill out an insurance application, insurers ask dozens of questions about you, your driving history and your vehicle. The answers to these questions help the insurance underwrites to calculate, based on many variables, how likely you are to be involved in an incident (whether it be an accident, damage to your vehicle through vandalism or the theft of your vehicle) that will require them to pay out. Drivers that have convictions or that have committed motoring offences in the past typically pay more for their insurance because statistically they are more likely to be involved in an accident; this is why impounded car insurance can be costly or even hard to find. Insurance underwriters know that vehicles are only seized due to serious offences, such as dangerous driving or driving without insurance or a license. It’s the severity of the causing offence that means insurance firms are hesitant to cover vehicles that have been seized and impounded. 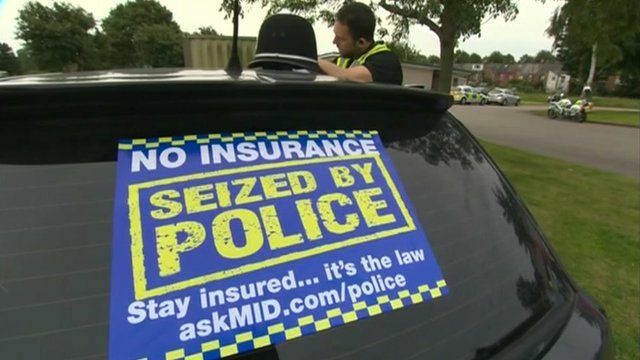 There is a small selection of insurance companies that will offer insurance for vehicles that have been confiscated and there are even some smaller providers that actually specialise in this kind of cover. In our experience the best way to find cheaper cover is to use a specialist impounded car insurance comparison website or to go through a broker that has experience with higher risk insurance markets.